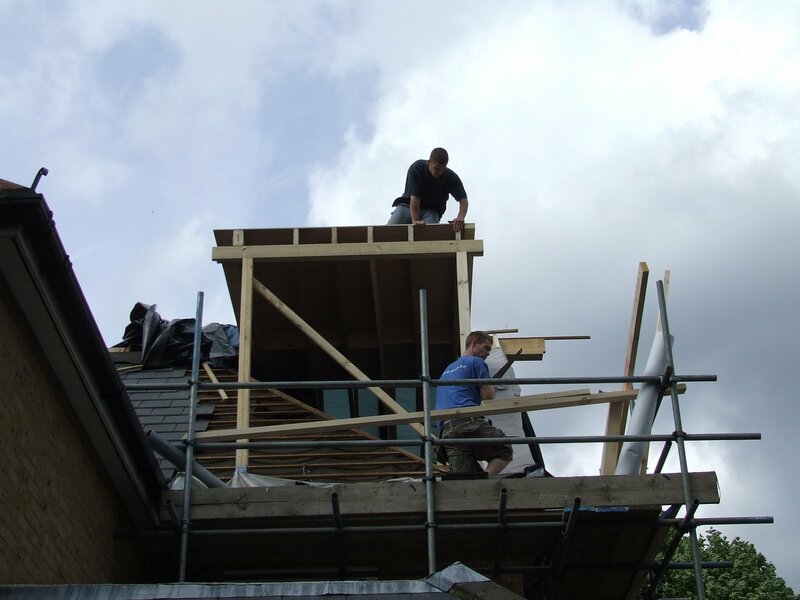 The guys cracked on today with constructing the dormer window, which will be at the back of the house & overlooking the garden. 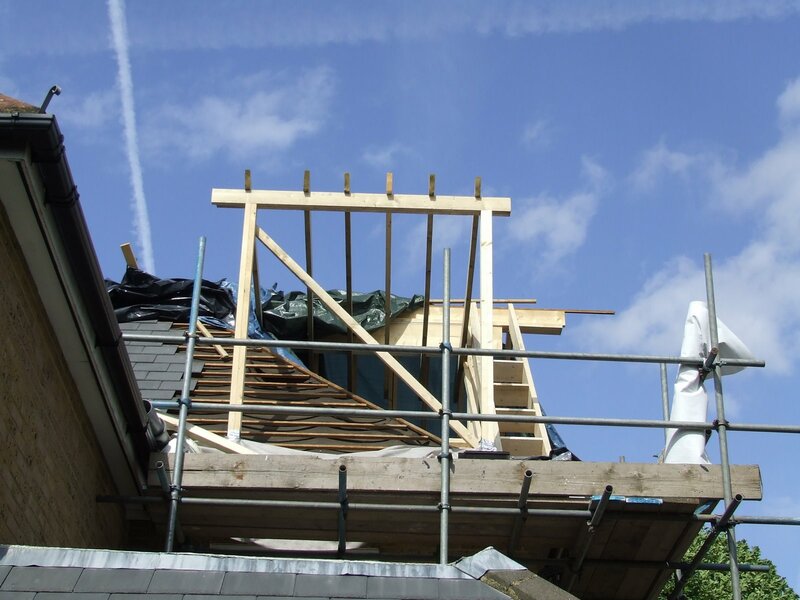 When finished it will have French windows with a Juliet balcony – very posh! 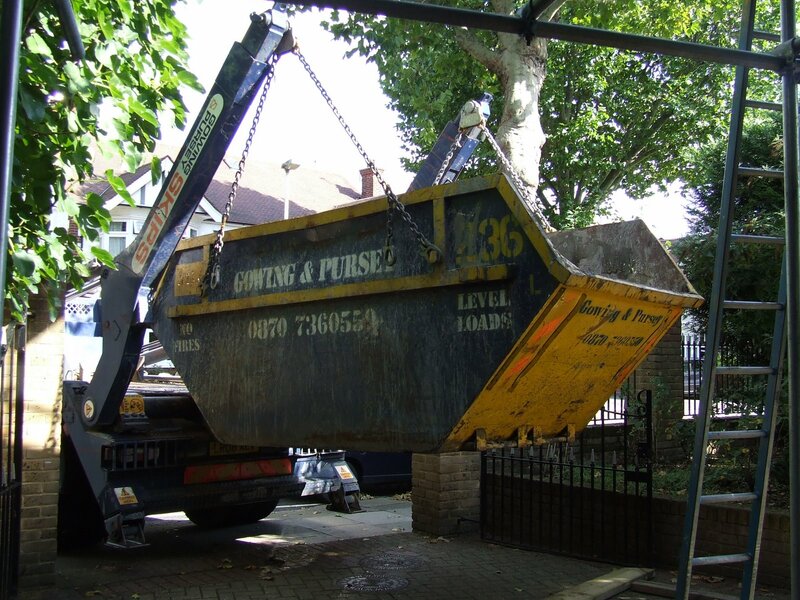 And the skip arrived and will now most likely be on the drive for the duration of the build. Bet the boys played with meccano when they were small!! The big question is when do the start inside? P.S. How come you have a blue sky?